Gordon Flowerdew poses with a loaded train car and some cougar hounds. 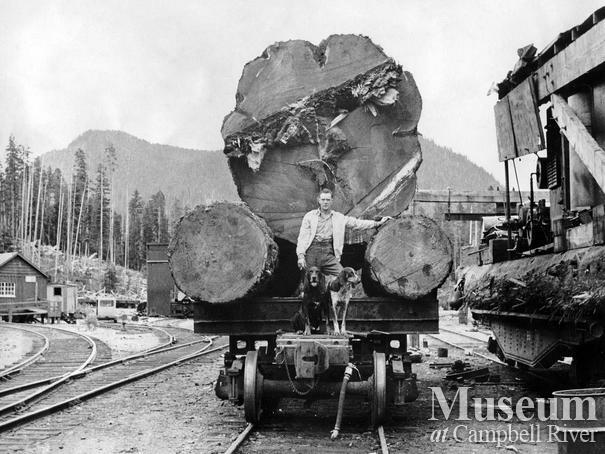 This log (on railcar) is part of the record '8 load tree', which is mentioned in the book, "Glory Days of Logging." 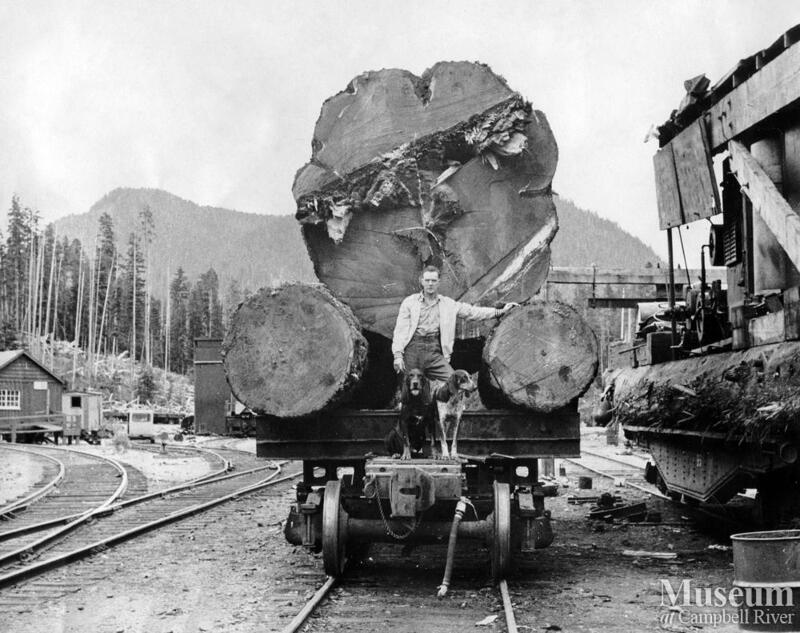 The tree was from Davey River close to Schoen Lake, was loaded by Paddy Smith using a deisel electric crane, and took 8 rail cars to hold it all.